Field Test: 70-200mm G Master For Scenics & Sports! Over the past month I have had the opportunity to field test the Sony 70-200mm G Master lens along with the Sony α6500 camera. My tests with the Sony 70-200mm G Master were for both landscape and sports – the only caveat is that I used the Sony α7R II as my sole landscape body; whereas for sports, I used the Sony α6500. 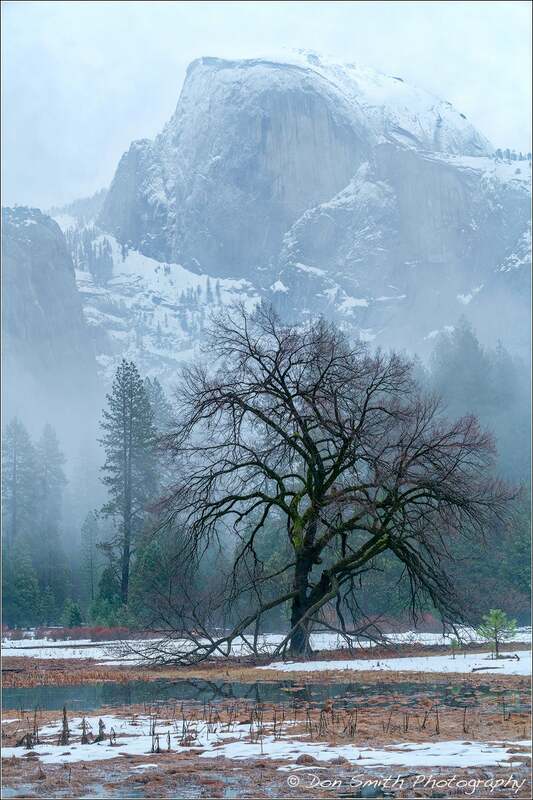 Elm and Half Dome in Clearing Storm, Cooks Meadow, Yosemite National Park, California. Let’s start with my review of the Sony 70-200mm G Master. I always felt the the Canon 70-200mm Series II lens was the sharpest in its class. That was until I got this lens in my hands. Sony’s G Master glass is designee to be used with high MP cameras like the Sony α7R II. As the resolution of the files increase, so to must the resolving power of the lenses and that is where the G Master series comes in. Until using this lens, I used exclusively the Sony 70-200mm f/4 G OSS lens. That is also a wonderfully sharp piece of glass. I regularly shoot it at f/11 and f/16. The 70-200mm G Master has a maximum aperture of f/2.8 and is 27 ounces heavier, but the sharpness across all apertures is off-the-charts awesome! I am not going to run images at every aperture so you’ll just have to trust me on that one. Upper Yosemite Fall and Black Oaks, Yosemite National Park, California. According to the Imaging-Resource website: The new flagship telephoto zoom model delivers extraordinary sharpness and clarity throughout the entirety of its zoom range thanks to its three advanced lens elements including XA, Super ED and ED glass components, as well as its Nano AR coating. The new FE 70-200mm F2.8 GM OSS lens features a floating focusing system — implemented in an a zoom lens for the first time — that contributes to an impressive minimum focusing distance of merely 0.96m and ensures AF performance is optimized during both still and video shooting. The lens includes a SSM (Super Sonic Motor) plus dual linear motors that work together to move large lens elements quickly – a task that requires a high level of drive control and ensures focus accuracy. The new model also has built in Optical SteadyShot image stabilization for capturing sharp, blur-free subjects at all focal lengths and a rotating tripod mount that allows the camera to be quickly removed from a connected tripod as needed. All of this tech talk is a way of saying that Sony has figured out how to go get immediate AF grab with smaller batteries, something Canon could not do with the 5DMKIII series cameras. 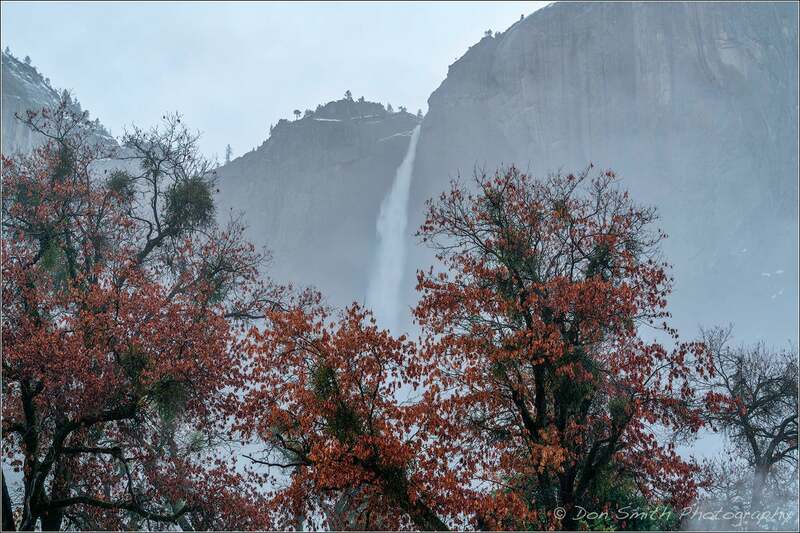 Bridalveil Fall and Mist, Yosemite National Park, California. Unfortunately, I was unable to get my hands on the new dedicated 1.4x and 2x converters, but having talked to a number of colleagues, their conclusion is unanimous – the converters match the lens and the image sharpness is unaffected. I will eventually add this lens to my permanent arsenal of Sony glass. After my trip to Yosemite, it was time to take the lens indoors and and pair it with the new Sony α6500 for some NHL action. The Sony α6500 is Sony’s best sports camera to date. Though its sensor can capture 24.2 MP, it seems tiny in my hands when paired with the 70-200mm G Master but you shouldn’t let the small size fool you – it sports a AF that performs every bit as well as my Canon 1DX, which costs five times the amount! My one drawback with being on strobes was that the maximum sync speed of the α6500 was only 1/200th – this allowed for a bit of ambient movement, especially on slap shots, and I would like to see Sony max this out near 1/500th in future cameras. There are so many upsides to this camera that it is crazy-good. As mentioned, the AF smokes, which is a must for any sports camera. Moreover, Sony finally re-aligned its Menu system making the camera much easier to setup. Hopefully we will see this news menu setup go across-the-board with all new Sony cameras. I opted for back button focus, which takes the focus off the shutter button and assigns it to a back button. It’s easy to do and I explain it in an earlier blog I wrote on the Sony α6300. You can also learn more about it here. I also assigned another button as a focus-hold button, which allows me to stop the AF at any time while still tripping the shutter. There are times on penalty shots where a referee may skate into my frame while I am pre-focused on the goalie and the shooter. I did struggle a bit when flipping the camera orientation from horizontal to vertical. The eye-piece for the α6500 is located on the left side of the body as opposed the traditional center positioning making it a bit tricky as I’d have to elevate the camera to align my eye. Let’s get back to the awesome focus-tracking ability of this camera. I break a top-notch AF system into two parts: a.) the ability of the AF to acquire a subject instantly, and b.) the ability of the focus-tracking to stay with the subject. I give the Sony α6500 A+’s in both categories. Note: You can see Don Smith's rink-side NHL action photos on his blog. Eventually I would like to see Sony come out with a full frame sports camera. The α6500 is APS-C which means there is a conversion factor of 1.5x for all lenses. This made my 70-200mm G Master act as a 105-300mm. Not always bad for sports but I would have needed a second body with a shorter zoom range for when the action moved closer to me. The Sony α6500 has an expanded buffer (which for me was not an issue as I could only shoot one frame every 3 seconds with the strobes) and has an internal 5-axis image stabilization built into the camera. I never really got the opportunity to play with the touch-screen display as I kept the viewfinder to my eye. I also had to set the camera up to display the exposure for my eye while keeping my setting differently for the strobes – a nice touch and something studio photographers have to pay attention to with any mirrorless camera. As for the video, I simply did not test as I do not use video in my current work. The expanded grip did make the camera more ergonomic in my hand, but I would like the ability to add a battery grip. Overall, for the $1400 price, this is one beast of a camera in a small package. 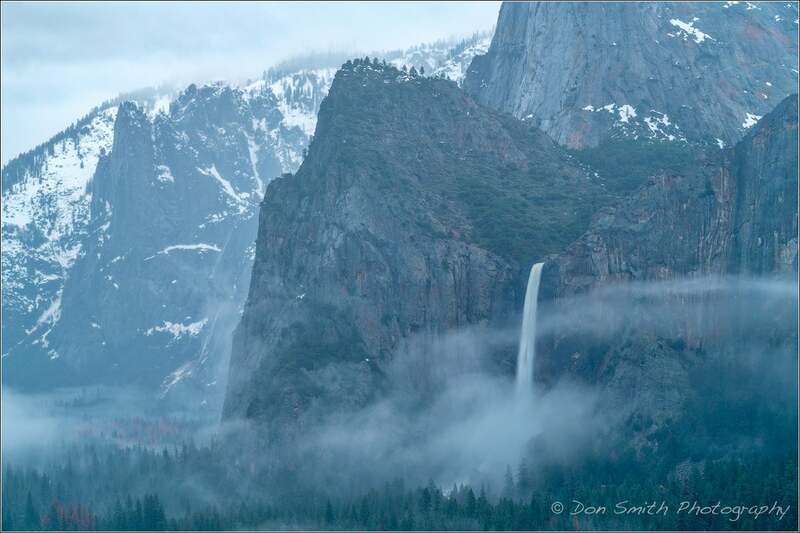 Having begun his professional career over 39 years ago as a sports photographer, Don successfully transitioned into the world of fine art landscape photography in 2002. For seven years, he was a contract photographer for Sports Illustrated and still keeps active in sports as original co-team photographer for the NHL’s San Jose Sharks. The rest of his time is spent on his landscape photography work. 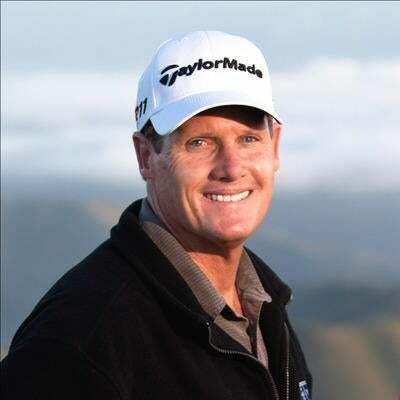 Don is now renowned for his work as a stock photographer for Getty Images and as a landscape workshop instructor, teaching 17 workshops per year. His work has been published worldwide in a variety of media and he has had cover images for over 30 books internationally. Find The Light And You'll Find Your Image!